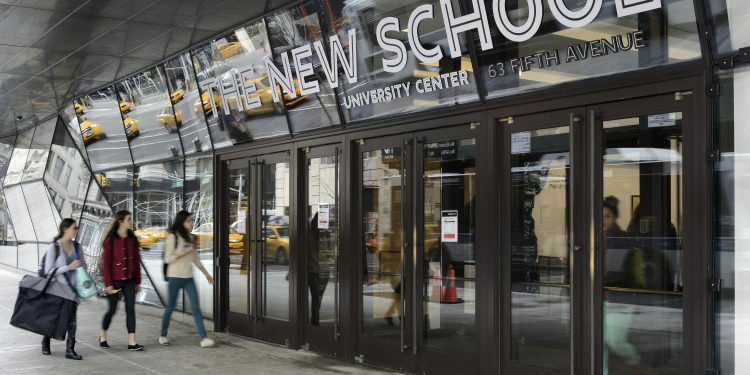 After more than fourteen months and 64 bargaining sessions, Student Employees at The New School — United Automobile Workers (SENS-UAW), the union for academic student workers, has voted to ratify a contract with the New School administration. This hard-won agreement will provide substantial economic increases and important workplace protections and grievance procedures. It is an agreement that I and the other members of the SENS bargaining committee are proud to have negotiated on behalf of the membership. Those negotiations never would have been successful, without the hundreds of students and supporters who have worked over more than four years to organize student workers at The New School and build pressure on the administration to do more to protect and fairly compensate its workers. The university did not participate in this process willingly; the pressure that came from organized workers demonstrating their power was crucial to every step along the way to this agreement. Despite its foundational values of social justice, critical inquiry, and radical scholarship that engages with the social issues of the day, the New School tried many approaches to resist progress toward a strong union contract for its student workers. Even before we began bargaining, our fight for a contract had already been going on far too long (as Sidra Kamran outlined in Public Seminar in 2017) due to a series of legal obstacles set out by the administration. Despite a near-unanimous unionization vote by academic student workers in May 2017, for instance, the New School challenged our right to unionize with the National Labor Relations Board — a fight which we won by organizing and demonstrating our power. After eight months of bargaining yielded little movement by the administration, the SENS bargaining committee set a strike deadline and the members organized to hold down a strong, disruptive strike during finals of the Spring 2018 semester. Only after this strike did we begin to see some true movement at the bargaining table on many of the non-economic issues. On economic issues, however, the administration continued to move slowly, balking at offering SENS members benefits that are commonplace at other institutions. By the time we were halfway through the Fall 2018 semester, and faced with the prospect of bargaining continuing into yet another semester in which workers would not get higher compensation or better workplace protections, the bargaining committee knew additional pressure would be needed to get us a good contract. With another strike deadline set for right after the Thanksgiving break, the administration came into our last bargaining session before the break ready to strike a deal. That evening, in negotiations with a mediator, the administration increased their total economic offer by more than $2.4 million, offering the kinds of substantive benefits we had been requesting for a year and a half. The bargaining committee and the administration came to a tentative agreement, which SENS members have now accepted through the ratification vote. The administration did not put this much more money on the table because they finally heard student workers’ stories of heart-wrenching decisions about which bills to pay, whether or not to undertake important medical procedures, or how to keep up with coursework while piecing together multiple jobs just to get by. They didn’t do it because The New School is a progressive institution where unions enjoy more support than in other places. If that were true, this contract would have been ratified years ago. The gains in this contract were won because of our credible strike threat, bolstered by the success of our spring strike and by the strong support for SENS among students, faculty, staff, and the broader New School community. Comparing the economic benefits in the tentative agreement to the administration’s proposals before the last negotiating session translates the power of that strike threat into dollars. Before the strike threat, the administration was offering annual wage increases of 2% over workers’ (low) starting wages. This meant, for example, that a research assistant working ten hours a week, who previously would have earned $2760 in a semester, would only have earned $55.23 more per semester in the first year of the contract. Under our contract, that worker’s semesterly wages will increase by $300. In addition, they will receive a 100% waiver of the University Services Fee, a $114-per-semester increase from the administration’s previous offer. If they have worked at least one previous semester, this research assistant will also be eligible for a rebate on the school’s student health insurance plan. If it is their second semester working, they will receive a 35% rebate, a $300 increase from the previous offer. If it is their third or subsequent semester working, they will receive a 50% rebate, a $450 increase from the previous offer. All of these benefits will increase to even higher levels over the five years of the contract. Our work to put pressure on the administration is not done. The school continues, for example, to resist our demand for childcare support for students who are also parents. (They have agreed to make this a topic of discussion for the Labor Management Committee that will represent SENS moving forward, and to give us this benefit if they offer it to any other workers at the New School). But this contract puts us in a strong position to continue organizing on behalf of our members and in solidarity with other academic workers across the country. We are proud to be part of a nationwide movement of academic workers that continues to gain momentum. We stand in solidarity with our graduate student worker colleagues at Columbia University, the University of Illinois Urbana Champagne, and the University of Washington, among others, who have recently gone on strike demanding fair compensation and working conditions. 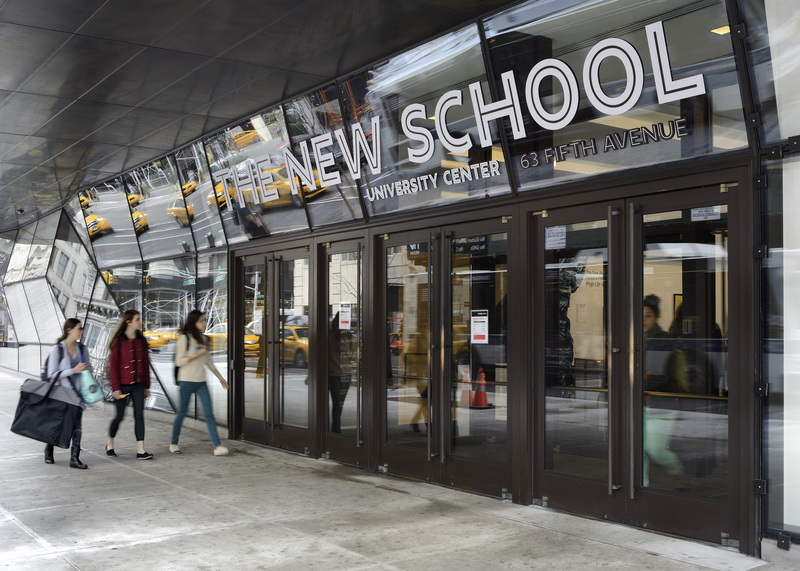 We join the ranks of our colleagues at New York University, Brandeis University, and Tufts University, in winning a contract that ensures that student work at The New School is a sustainable form of employment. We also recognize connections between our contract fight and the unionization struggles of thousands of adjunct and part-time faculty at universities across the country, and public school teachers in states including Washington, Oklahoma, West Virginia, Arizona, and Kentucky. As we move to the implementation of a historic contract that will become an important precedent in other academic union negotiations, we join our experience to that of other educators who have shown that it takes strong organizing and action to win a contract that meaningfully reflects the value of academic work. We will continue to organize, and as we do, we will be continuing to hold the New School accountable to its foundational values. Angela Butel is a second-year Master’s student in the New School Public and Urban Policy program. She works as both a research assistant and teaching assistant, in addition to serving as a member of the SENS-UAW bargaining committee. To stay updated on the union’s work, follow @SENSUAW on Twitter or Facebook .